Last May 28, we had our first session for basketball and table tennis training. 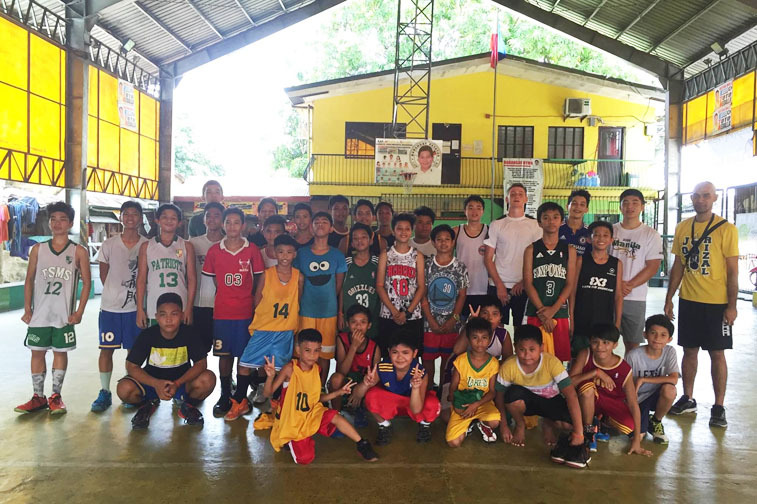 We enlisted kids ages 9-15 from St. Benedict, Payatas who were interested to learn these sports. We came up with the idea of holding a basketball and table tennis sports clinic because we know that sports has many benefits not only in physical health but also in teaching kids discipline, focus and team work. It was truly heartwarming to see that these kids appreciated the sessions. Some shared it was their first time to try table tennis and are excited to learn more. Those who joined the basketball sessions enjoyed having coaches for the first time. They liked the drills and the lessons imparted to them by the coaches especially on the basics of dribbling, passing and shooting. More importantly, we think they enjoyed being among other kids, having fun while learning something new!